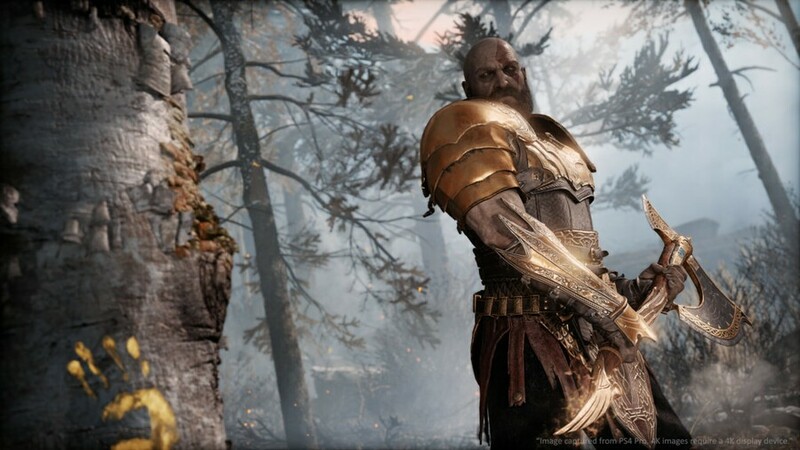 Back at E3 2018, Sony promised a New Game+ mode was heading to its phenomenal action game, God of War. Over on the PlayStation Blog, we now have our first details on what to expect in this free update to the title. The patch will arrive on 20th August 2018, and will allow you to play New Game+ -- that is, a mode that lets you carry over your level, stats, upgrades, and armour from your initial playthrough to a new one. It'll also feature tougher enemies with switched up attacks, a new tier of armour rarity to discover, and a new resource called Skap Slag you can use to fully upgrade your equipment. New Game+ unlocks after you finish the regular game once, as you might expect. The update also allows players to skip cutscenes once they've played through the game. Sounds pretty meaty, then. 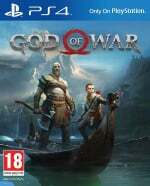 Will you be picking up your Leviathan Axe once again for New Game+ in God of War? Bark orders at your son in the comments below. Blimey it's a good news day today. What's going on? @get2sammyb It most certainly does! Will definitely try it out at some point in the near future. Yes. Absolutely yes. I've been holding off replaying until this update lands. Edit: And you can choose your difficulty. Might eventually go for the hardest one. But that's only a day before Guacamelee 2. Finally playas!! The game of the gen get an enormous patch. I‘m ready for my third playthrough. Word up, son. I've platinum'd the game yesterday, my very first. I just couldn't get enough of this game. Glad they're giving us a reason to come back! @uMuffin Was it too hard to Platinum? Awesome! Even more reason to gift this game to myself for Christmas! Great news. I wonder how the difficulty is working. Like, if it just goes one level higher or makes things entirely different from the original difficulty options. Whilst I adored it, I think I'm done for now. Don't tend to replay games. Think I'm one of a tiny amount who will not be playing through again. I platinumed, beat everything, seen it all, heard all the tales, hardest difficulty... this just sounds like cosmetics and a couple of new moves, not enough to get me back in. Really been looking forward to this. Can't wait to start the game over fully powered and watch Kratos demolish that tree with the fully upgraded axe. @fisher I think probably not actually. I bet he'll still have the other thing even during the cutscene where he finds it. Could get weird. Alternatively, it may be locked until you get to that point, but I think he'll start with it. @uMuffin haha I bet they did, I'll see if I can try to Platinum GOW, seems like a good achievement. Thanks for sharing man. Definitely planning a NG+ photo mode playthrough, but that's so close to bunch of new releases I'm looking forward to. Nice but Shenmue. Bad timing. As much as I’d love to get back into GOW right now Skyrim has my full attention. Can’t believe I hated Skyrim for all these years! I'll pick up those missing artefacts then Oh wait, there is Shenmue coming out. Oh hell yes. Been waiting for this to revisit the game. Hope they throw in a couple new trophies as well like Horizon did! @Turismo4GT Same here, crossing my finger for a $25-$30 sale during Black Friday.